The end of the Borg War brought about a brief era of �good feelings�. The relationships formed during the war seemed solid. There was a strong consensus that if the Quadrant were to be rebuilt it would need to be done through unity, rather then through fractioning. This general feeling of joy and relief was only strengthened with the discovery of a multitude of survivors in close-by sectors. The realization was almost immediate that the Borg had failed to fully assimilate many of the planets and systems they had conquered throughout the war. One of the first acts of the Federation government after the end of the war was to launch a full-fledged Re-Exploration Initiative lead by Admiral Zuchov. Admiral Zuchov took partial command of divisions of the sixth and eighth fleets, amassing a sum total of nearly 240 ships to search for survivors in systems in close proximity to Earth. The initial sweeps proved more difficult then expected. The Borg had laid waste to hundreds of planets and done irreparable damage to others. Worlds had been bled dry of natural resources; peoples deemed unfit for assimilation nearly eradicated. Every situation needed to be handled differently, and dealing with civilians who had been traumatized by the Borg, or refugees eager to return to their home worlds was proving to be an immense challenge. The cornerstone of the effort to once again expand outward was the development of a feasible slip stream drive technology. This allowed federation ships to more quickly reach worlds, and deliver refugees to what was left of their home worlds more efficiently. The Federation began working on a method of integrating the slip stream drive system into the fleet. One of the earliest test beds for the slip stream technology was the USS Excalibur, which had been going through a refit after being severely damaged during the battle of Sol. With the Slip Stream Drive system installed successfully on one vessel, efforts began to refit nearly a third of the fleet. This massive advancement in slip stream drive technology greatly expanded the range of the Federation and greatly increased the efficiency of the Re-exploration Initiative. As the Re-Exploration of the quadrant continued many species raised the question: �When will the fleet reach our home world?� There was a great push by nearly all the �Borg War� members of the Federation to re-explore their home worlds immediately. Having seen the advancements in slip stream drive, they demanded the technology be used to grant them, and their people, travel home. Knowing that any project to attempt to explore the home world of every species represented in the Federation would be require tremendous resources and hamper finding survivors on close by planets, the Federation set up a clear plan for re-exploration. 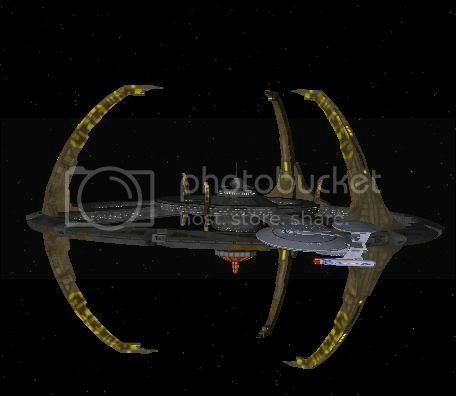 One of the first systems to be re-explored would be the Bajoran system. It was during this time that Admiral Zuchov turned control of the Re-Exploration Initiative over to Rear Admiral Duke Shepherd. Admiral Shepherd took the planned re-exploration one step further, commissioning a large number of Colony ships to assist survivors in re-settling their worlds. Among the more vocal members of the Federation to press for immediate re-exploration of their home world was the Cardassians. The Federation had scheduled the Re-Exploration of Cardassia to take place in 2405, a date the Cardassians were not willing to accept. The Cardassians decided instead to send out their own fleet to re-explore their home world in mid 2403. The Federation senate petitioned the Cardassian members to remain with in explored space until their allocated time, but these actions fell on deaf ears, the Cardassians would not be content until they set foot on their home world. A total of 4 Galors were dispatched to re-explore Cardassian worlds, despite the vehement protests of the Federation government. Realizing the Cardassians would not back down the Federation dispatched an additional 5 colony ships to aid in re-colonization of Cardassian worlds as well as to monitor the actions of the Cardassian ships. The Cardassians were not eager to have a Federation influence on what they believed to be rightful Cardassian planets however they begrudgingly accepted the help. With the Cardassians appeased for the moment, the Federation�s focus once again shifted to the Re-Exploration, and re-settling of the quadrant. Planets such as Vulcan, Andoria, and Quonos all made it through the Borg War with a large number of survivors. 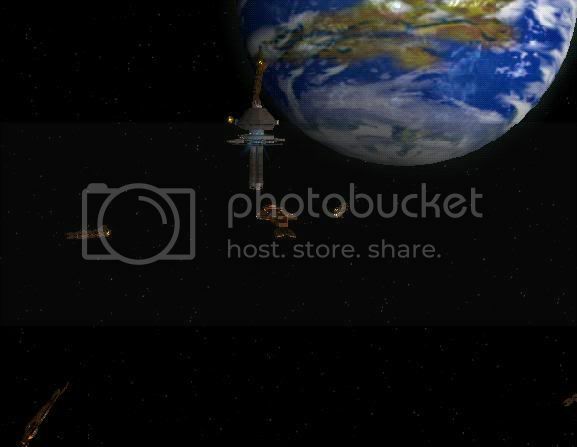 Even planets that were for the most part spared by the Borg had their infrastructure and major cities destroyed. Cardassia Prime however, fared better than most planets, with many of its major cities still intact. The Cardassians were by no means the only group displeased with the situation in the Federtaion. In 2403, nearly a third of the Romulan forces, primarily those under the command of Admiral Jacir, left the Federation. Hundreds of ships, and thousands of Romulans left Earth, heading for Romulus. The Romulans felt that their Vulcan ancestors were attempting to restrict their rights, and destroy their culture. The Federation Government was hard pressed to stop them from leaving with any kind of force, but it made an already difficult situation even harder. A large number of Romulans remained in the Federation, many of whom had been born during the Borg War, making the Federation the only home they knew. The Federation could not remove the Romulans which chose to remain in the Federation, and could not stop those which chose to leave. Then Federation President Spock found it difficult to watch the Romulan and Vulcan people once again part ways on such a large scale. The Vulcan people had troubles of their own. 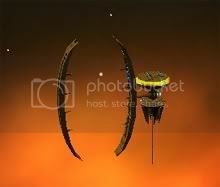 The Tholians had begun a wide scale colonization of many of the H-class planets in close proximity to the Vulcan home world. This made a large number of Vulcans uncomfortable to the point of requesting Federation intervention in the matter. When the Federation Senate claimed that the Tholians were to be allowed to settle the previously uninhabited H-class worlds, the Vulcans people took matters into their own hands, sending two ships to prevent a Tholian Colony ship from delivering colonists to an H-class world. Starfleet dispatched several vessels to deal with the escalating situation; however it was becoming painfully clear that the Federation was not as unified as it had once been. The conflict was peacefully resolved, and the Tholians agreed to restrict their colonizing of the space near the Vulcan Home world as long as the Vulcans did not interfere in their efforts. The �Era of Good Feelings� had certainly ended by 2404. There was a sense of fracturing among even the pre-war Federation members. Feeling the strain, Admiral Shepherd stepped up efforts, transferring additional ships to re-exploration duty as pressure increased and fears of additional Borg incursions waned. One group however became increasingly discontent. The Cardassians felt the Federation was encroaching on the rights of the Cardassian people, and began to request the removal of Federation attach�s from Cardassian worlds. The completion of Lipvok Nor near Bajoran space only served to raise tension between the Cardassians and the other members of the Federation. Placed under the command of Gul Venok, the station represented a great threat to the Bajoran people, but considering the tenuous relationship with the Cardassian people the Senate found it difficult to take decisive action. 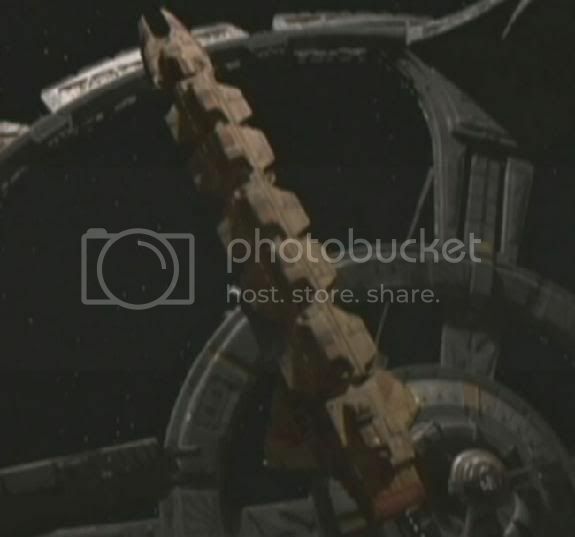 When the Cardassians began to close off large areas of the facility to Federation officers the Federation once again formally protested the Cardassian actions, but the Cardassians replied simply that as members of the Federation the Cardassian people had the right to establish a base for peaceful operations within Federation space without interference. Surprisingly, the most vocal critics of the Federation�s handling of the situation were not the Bajorans, but rather the Klingons. Many of the Klingons in the Federation, including the representative to the Senate felt that the actions the Federation was taking now would doom it to certain destruction. The Cardassians were taking advantage of human weakness, exploiting inaction, and threatening the very stability of the Quadrant. Martok was appalled by the Federation�s near inability to stabilize itself and unify it�s members. While the Federation scrambled to hold itself together, the Cardassians at Lipvok Nor built a total of four shipyards, which produced 10 Hutut class dreadnaught carriers as well as a multitude of other Cardassian vessels using the resources extracted from the surrounding asteroid fields. 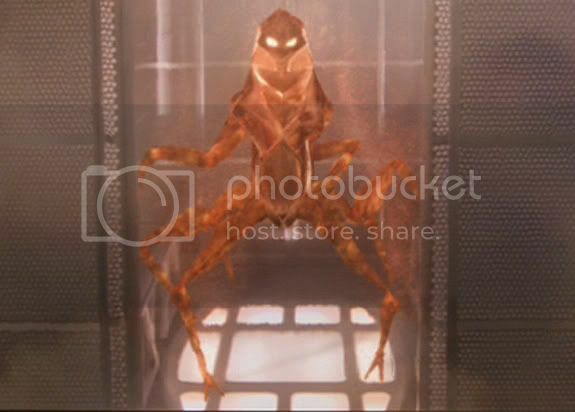 Gul Venok also began systematically removing non-Cardassians from vital areas of the station. 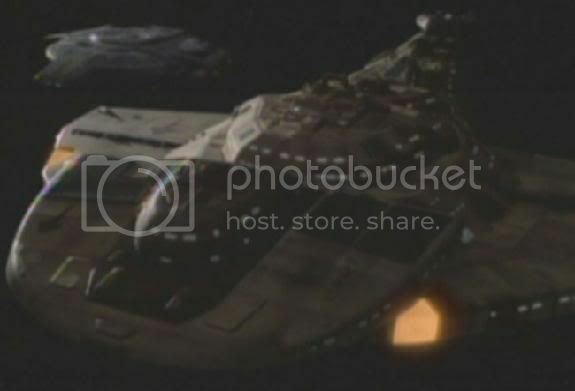 In early 2406, the Cardassians finally went too far, cutting off supplies from the station to the Federation, and insisting that non-Cardassians be removed from the station. The Cardassian military, which had now doubled its size, forcefully removed Federation officials from a number of Cardassian worlds, and instituted martial law on others. The situation was out of control, and it seemed that no one in the federation had the power to stop it. Nearly three years after the construction of Lipvok Nor and its surrounding ship yards in the Maltis asteroid field, the Bajoran prime minister personally visited Starfleet Headquarters in San Francisco. The Bajorans had detected several suspicious freighters moving to and from Lipvok Nor using some form of dampening field. The Bajorans made it clear that if Starfleet failed to act in their interests, the Bajoran people would take matters into their own hands to rid the sector of the Cardassian station. 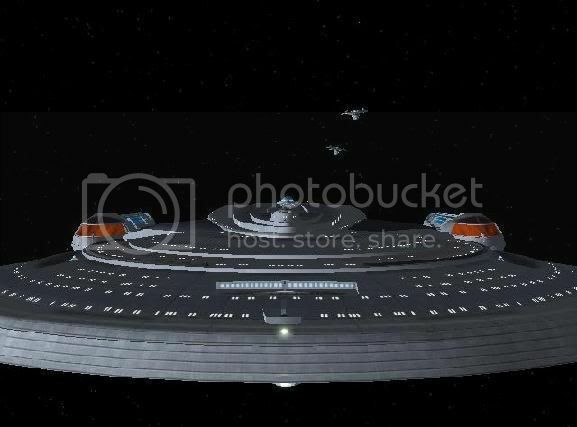 The Federation agreed to send a vessel to the station to assess the situation. 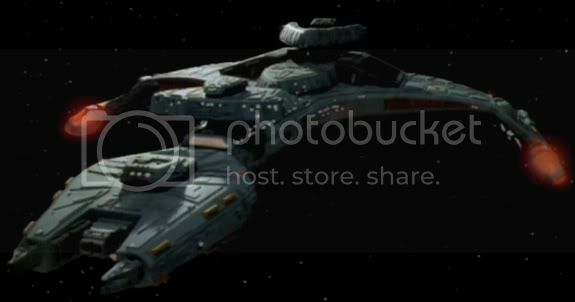 The USS Hurly, a recently commissioned Prometheus class, was slated to take a Federation task force to the Maltis field, and force the Cardassians to comply with a Federation search order in early 2407. In late 2405 Gul Venok issued an order that all non-Cardassian personnel be removed from the station by early 2406. The Hurly would not be ready for active duty until mid 2407, and the Federation once again felt its hands were tied with a severely limited number of ships in the area. The decision was made to dispatch another Federation ship to pick up the stranded personnel, and perform reconnaissance operations onboard Lipvok Nor. 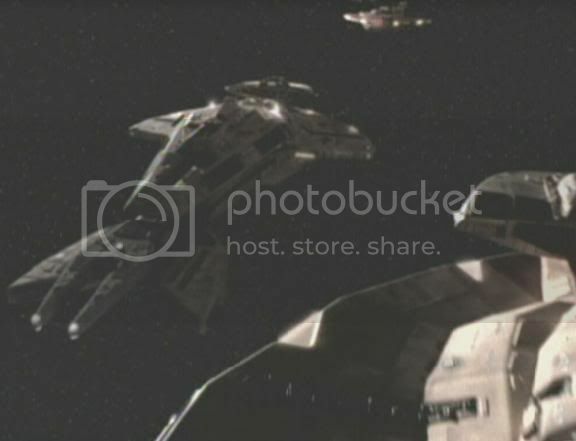 In early 2406, The USS Vendetta was dispatched to the Maltis Nebula with orders to recover all Federation personnel, and represent Federation interests in a Cardassian summit. 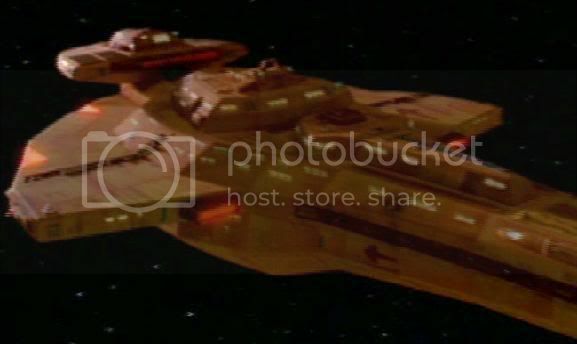 The mission was accomplished, however the Cardassians became aware of the situation, and deployed forces to attempt to recover several files stolen from the facility. The Vendetta escaped and, using some of the information procured from the facility, recovered the USS Grant. The mission was hailed as a success by Starfleet, and the Bajoran people were satisfied with the information recovered. By early 2406 it was clear that tensions between the Cardassians and the bulk of the Federation were on the rise. The most recent sign had been a standoff at resupply depot JL-12 in the Tibious sector. A fleet of four Galors lead by a Keldon took an aggressive posture when the station commander refused to release a Cardassian freighter which failed to submit cargo for inspection. 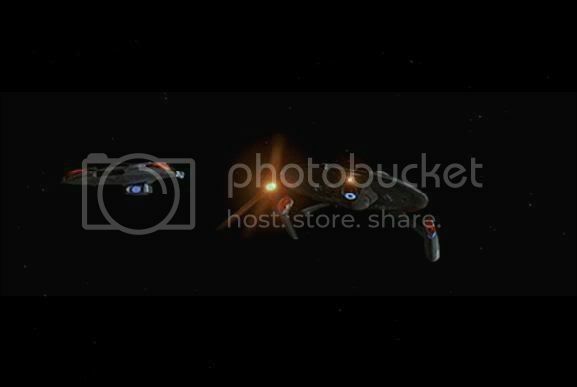 The closest Federation ship was still eight hours away from the unarmed station at maximum warp. 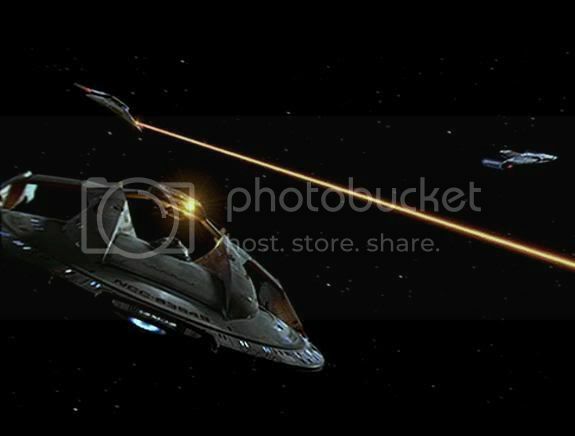 The Cardassians departed the station after nearly two hours of orbiting the station with weapons locked, and torpedoes armed. This outwardly hostile action by the Cardasasians lead many in the senate to believe that the Federation would soon break apart at the seems. 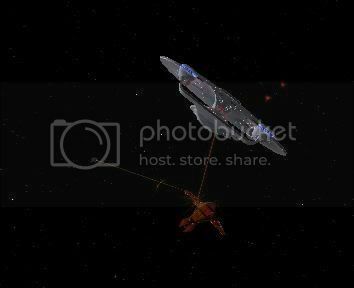 Over the next several weeks the Cardassians remained quiet, however, this nervous peace was shattered when two Federation vessels, the Scotto and Debora, were attacked by a pack of three Galors. 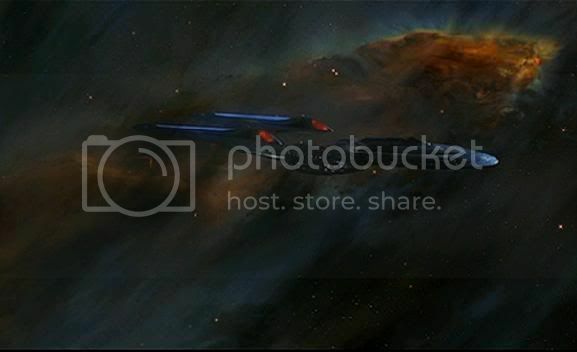 The Vessels had been on patrol near a former Cardassian world when the Galors warped in and attacked without warning. The two Federation ships managed to escape the scene destroying one Galor and damaging the other two. This was a clear, undeniable sign of the growing Cardassian discontent. It was obvious that the Cardassians would not be content with anything short of the complete removal of all non cardassian personnel from what they believed to rightfully be Cardassian worlds. Many of the worlds in question were heavily settled by non cardassians, and were rich in the resources needed to rebuild the galaxy. The Federation was unwilling to uproot billions of people and sacrifice valuable resources to appease the Cardassians. With the second Command Carrier the Devestator-D nearly completed, the Federation felt they would have the needed tactical advantage to maintain control of the systems in question. Two days after the engagement between the Scotto, Debora, and the Galors, the USS Ronald Reagan along with two Defiant class vessels came under attack while escorting two Federation freighters back to Resupply Depot Athena. The Hutut class vessel that attacked them managed to destroy both Defiant classes and capture the freighters. The Reagan escaped with severe damage. Ten Hututs were known to have been produced at the Lipvok Nor shipyards, but exact numbers were unknown. The confidence in an easy Federation victory was slipping. 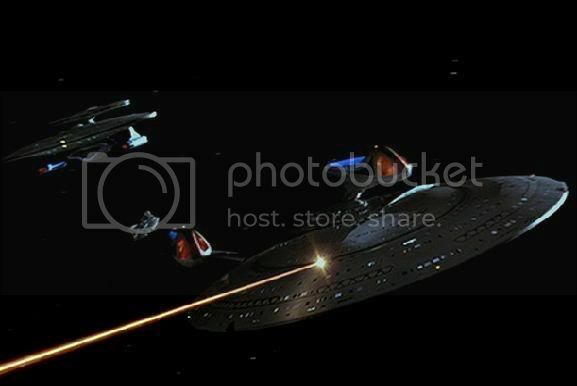 Several Federation captains grew increasingly discontent with Starfleet�s reluctance to respond to the numerous attacks. A Federation task force of eight ships, without authorization, made their way to the Maltis asteroid belt. The Cardassians had already dissembled and moved their shipyards, however Lipvok Nor had yet to be moved. The station remained for the taking. The ships engaged, and after only a few hours of fighting had destroyed the starbase. Over the next four hours, the ships chased after Cardassian freighters that refused to lower dampening fields. When one of the freighters was �accidentally� destroyed, it caused a level 4 shockwave disabling one of the attacking vessels. The wreckage of the freighter was taken onboard one of the ships. When scans of several compounds were inconclusive, the ships returned to a nearby facility for additional scans. It was discovered that the Cardassians had been shipping vast quantities of Nadion, a compound used in the construction of everything from phaser banks to the massive dreadnaught warheads.